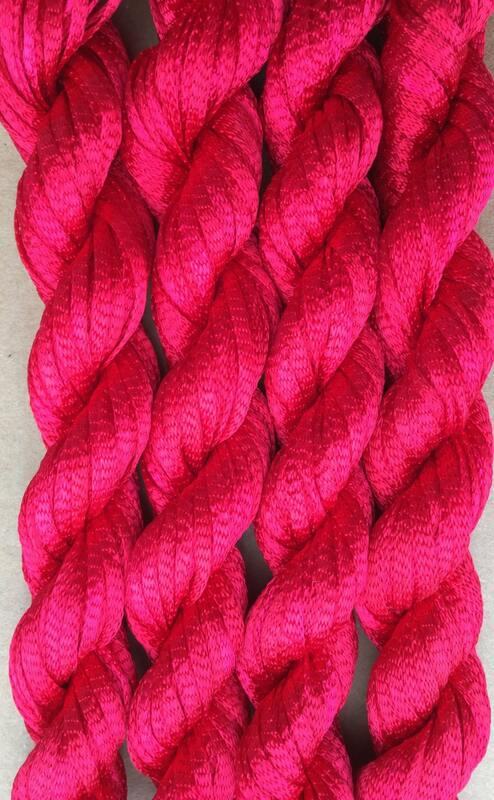 This listing is for 1 x 20m (21yds) skein of 10/167 Viscose Ribbon. This is one of our most popular individual threads, also one of the 10 threads found in our 'One Off' thread selection. Colour - Shocking Pink, no variations in colour. 10/167 VISCOSE CHAINETTE - A knitted viscose thread approximately 5mm in width. It is knit on 10 needles in a circular fashion and is tubular in construction. It is beautiful for stitching, especially Canvaswork (needlepoint) and it is possible to thread another thread through the middle and rouch it up for extra texture and cord making etc.